This two week journey will take you from the thundering falls of Iguazu to the sprawling wetlands of the Pantanal. 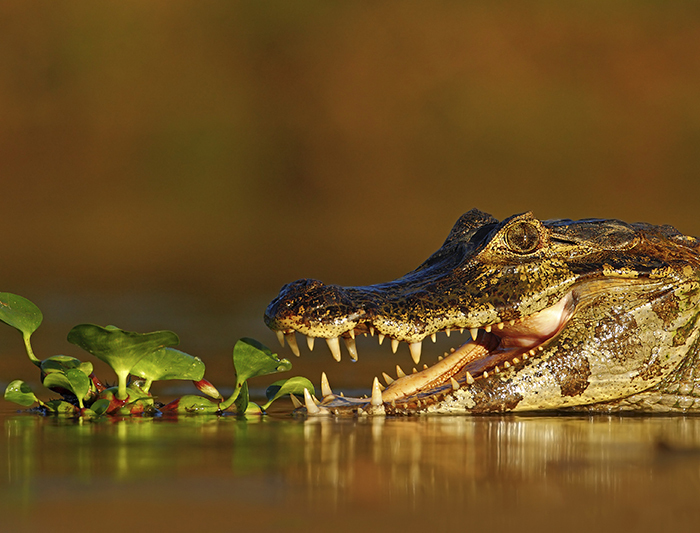 Your exploration of this fascinating region beings in Porto Jofre, northern Pantanal, where your days will be spent cruising the meandering network of channels and rivers in search of elusive jaguars and other wildlife. Continue to a sustainable eco lodge to enjoy a range of nature-led activities and embark on daily night drives in search of nocturnal animals. 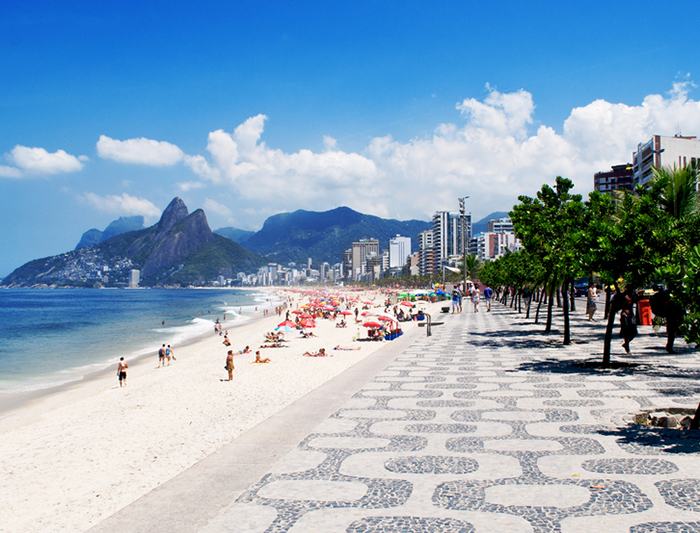 Your trip will draw to a close in the Cidade Maravilhosa of Rio de Janeiro. Arrive at Rio International airport where you will be met and transferred to your overnight accommodation. At an appropriate time you will be transferred back to Rio’s airport for your internal flight to Iguazu Falls. Arrive at Foz do Iguaçu Airport and transfer to your hotel. 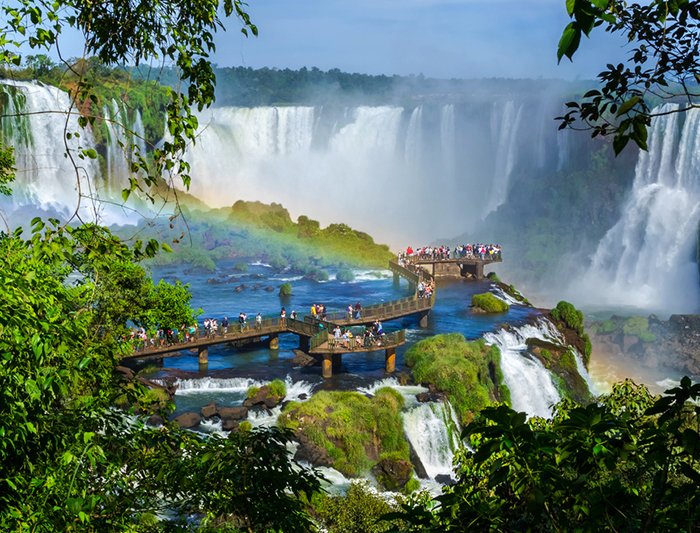 Check-in and leave for a private visit to the Brazilian Side of Iguazu Falls. Arrive at the Visitors’ Centre, located 12 km from the heart of the Park. Visitors are then transferred on specially conditioned vehicles to the catwalks for a walking tour of approximately 1 km long, where you will admire the falls (80 meters high e 2780 meters width) from different viewpoints. At the end of the catwalk you will find a fantastic close-up encounter with the Devil's Throat and main falls. 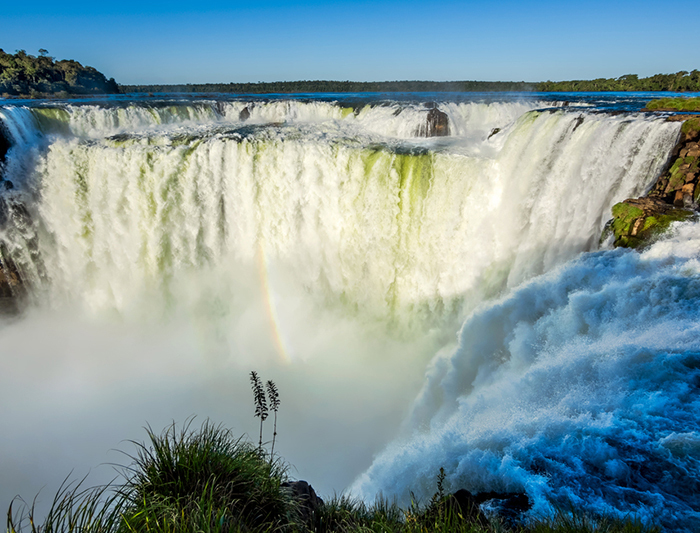 After breakfast, depart to visit the Argentinean Side of the Iguazu Falls. Considered one of the New Seven Natural Wonders of the World and one of the UNESCO World Heritage, Argentinean Side of Iguazu Falls has a beautiful view from the Falls. To visit the visitor will need to take a train that will take them to the Upper Falls Circuit. The walking tour takes place through the lower circuit (1h) catwalks and the upper circuit (50min). To visit the Devil's Throat, visitors should board the train at the Cataratas Station followed by a walking tour on a flat catwalk (1100 meters) built over the Upper Iguazu River that leads visitors to the balconies for an amazing panoramic view of this magnificent fall. Breakfast and transfer to the airport to board your flight to Cuiabá. Upon arrival in Cuiabá you will transfer to Pantanal. On the way to Pantanal MT Hotel, you will explore one of Pantanal’s most popular destinations: Transpantaneira Highway. It is a 145km long dirt road with around 122 wooden bridges. The hotel is located in the middle of the highway (from Cuiabá it’s 100km on paved road and 65km on dirt road – approximately 3h30). Arrive and accommodation at Pantanal MT Hotel. Dinner and overnight. After breakfast, 2 hours activity and then, check out for transfer to Porto Jofre (Hotel Pantanal Norte). On the way to Porto Jofre, you will explore the second half of Transpantaneira Highway (85 km on dirt road for around 3 hours). Arrival and accommodation at Porto Jofre, and after lunch, departure to a half day boat safari searching for the jaguars and other wildlife. Dinner and overnight. Breakfast and departure to a morning boat trip on Cuiaba River and channels to search for the jaguars. After lunch at the hotel, depart to another half day safari searching the jaguars. 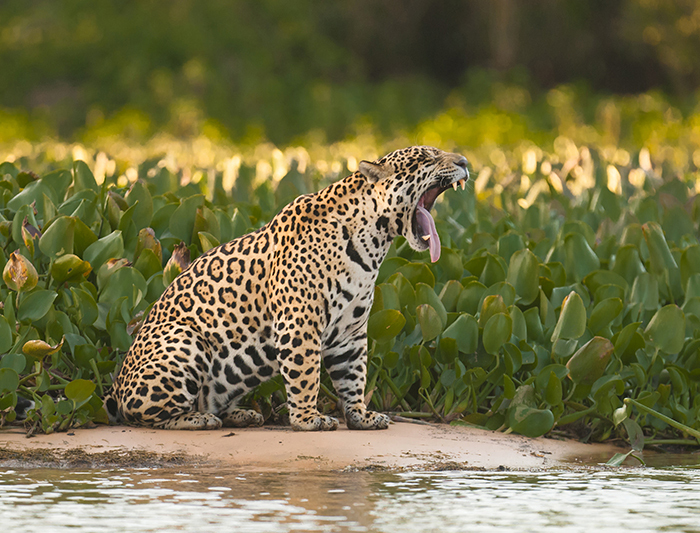 The region has the highest density of jaguar population in the entire Pantanal, during the trip you have a high chance to see Jaguars, especially from mid-June to mid-November, although not guaranteed. Depending on weather conditions lunch time can be enjoyed at the hotel or during the tour. Return to the hotel for dinner and overnight. Breakfast and early transfer to Araras Eco Lodge through Transpantaneira Road. Arrive and accommodation at Pousada Araras. Lunch and after a short rest, introduction walking tour about the surroundings and its environment cares and projects. Dinner and night walk. After breakfast, depart to enjoy a full day photo safari and canoeing to explore and contemplate the marvelous flora and fauna of Pantanal. Lunch during the dry season is done by the river, and during the rainy season at the Lodge. In the afternoon, trek the Howler Monkey trail to the Howler Monkey Tower (25m/82 ft. high) for a magnificent view of the sunset. After dinner, join a night drive in search of nocturnal animals. Early wake-up and departure for a sunrise walk. After breakfast, check-out and transfer to Cuiabá airport for your flight to Rio. Upon arrival in Rio and transfer to your hotel. Free afternoon. Overnight at the hotel. After breakfast, free morning. PM departure to visit the Sugar Loaf Mountain. Trademark of Rio de Janeiro, the Sugar Loaf Mountain has a privileged location in the city. In the first part of the cable-car ride you can see the entire Guanabara Bay, Corcovado and Rio-Niteroi Bridge. In the second part of the cable-car ride you can see, in a unique perspective, the beach of Copacabana, Santa Cruz Fortress and some beaches of Niterói in fantastic scenery! Return to the hotel and overnight. Breakfast and transfer to the Christ the Redeemer on Corcovado Mountain. 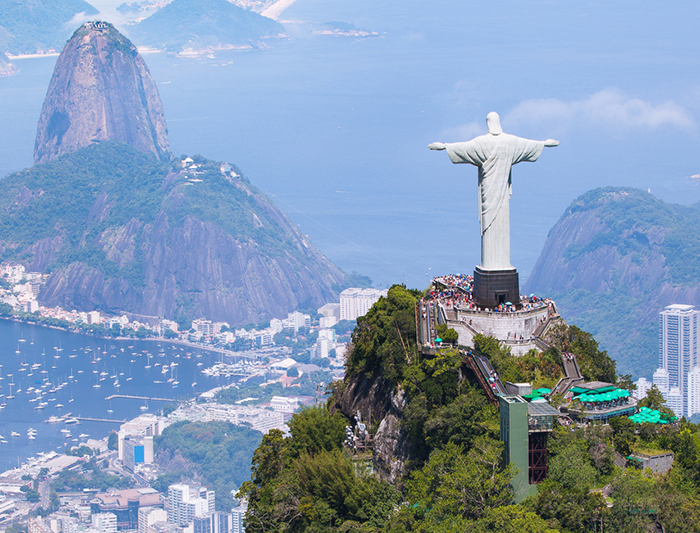 The most important symbol of Rio de Janeiro, this monument is one of the new Seven Wonders of the World. From there you can have a panoramic view of the city. Afterwards visit the Santa Teresa neighbourhood. Located in an old neighbourhood in Rio de Janeiro, Santa Teresa is a very charming place in Rio, where lots of local artists are living and exhibiting their arts there. After lunch you will visit the Morrinho Project. It is a social and cultural project based outside the Pereira da Silva favela (slum) in the Southern Zone of Rio de Janeiro. A model of 450sqm made of bricks and other recycled materials. With the aim of showing that favela life is multi-dimensional, and endeavours to communicate their own reality through film, plastic arts, theatre, and music. Return to the hotel late afternoon. After breakfast, free morning to relax and enjoy Rio de Janeiro under your own steam. Check out at 12pm and transfer to the airport for departing international flight.